Away from the telly, on to the (You)Tube! Media is changing, that much is clear. The rapid development of new technologies has led to a diffusion of segregation between media platforms. Whereas traditionally such platforms had their own domain, divisions have faded away (Mierzejewska & Shaver, 2014). Many of my peers don’t even own a television anymore: there simply isn’t any need to watch annoying commercial breaks when you can access practically every show or movie from your laptop. Dutch cable services have long been unwilling to accept such developments. Presenters like Arjan Lubach and Tim Hofman have had to convince heads of public television to let them create their own Youtube-channels. And with success, as both have over 250K followers. This has arguably led to greater popularity on traditional channels too. Point in case: Zondag met Lubach has been nominated for a prestigious Dutch tv-prize this year. 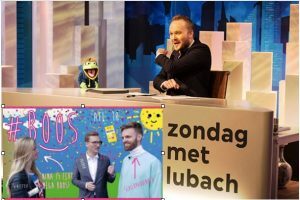 Furthermore, by placing the Zondag met Lubach videos on YouTube, its influence is reaching far beyond our national borders, with his Trump and NRA videos being picked up globally. Such successes are not without financial gains: it has been estimated that the Trump video, with over 50 million views, has yielded around €20.000. It must be noted that this is far from enough revenue to cover the costs of making the show. This brings me to a small piece of criticism on Mierzejewska & Shaver (2014), who state that consumers can now easily make their own content and gain a large following. Although this is true, the quality of this content can be questioned. A show like Zondag met Lubach requires staff that puts in many hours of labour and this requires financial resources. When asked what he would do as head of the public service, Lubach answered: ’embrace new media’. And that might just be the right way to go. Mierzejewska, B. & Shaver, D. (2014). Key Changes Impacting Media Management Research. International Journal on Media Management, 16:2, pp. 47-54.